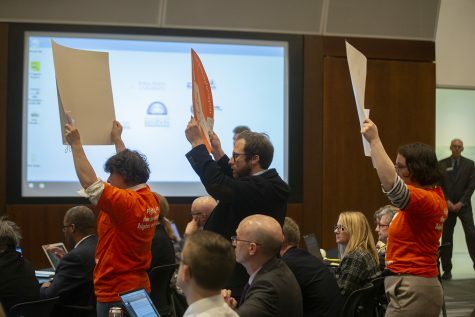 The campus community discussed a perceived lack of shared governance in recent impactful decisions such as the Labor Center closure at a forum Tuesday night. 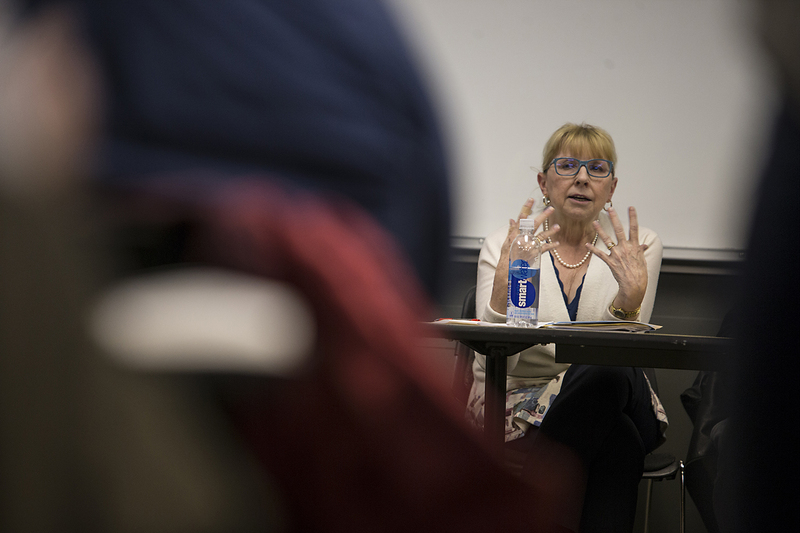 Ann Rhodes, clinical Professor of Nursing and former UI administrator, addresses the audience during the American Association of University Professors forum in the IMU on Tuesday, Nov. 13, 2018. Panelists discussed shared governance at the university in decision-making processes. The state of shared governance and whether it’s in crisis at the University of Iowa was called into question at a forum Tuesday night. 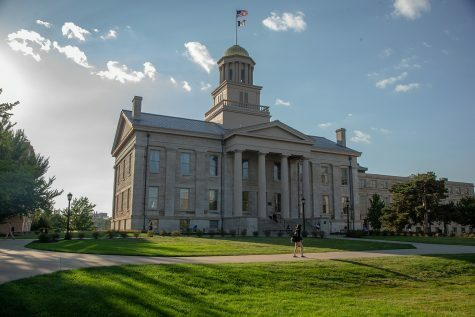 The UI chapter of the American Association of University Professors and Iowans for Public Education hosted a forum Tuesday to address concerns about whether the UI is abandoning long standing academic standards for shared governance following the UI’s proposal to close the Labor Center. 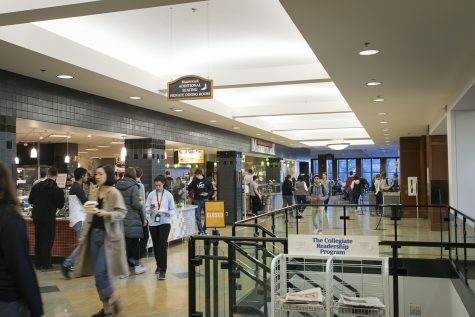 In response to concerns faculty have raised that the decision lacked faculty involvement, UI President Bruce Harreld said in an October interview with The Daily Iowan that faculty had last reviewed the centers and identified which should be closed in 2004 and updated that list around 2009. 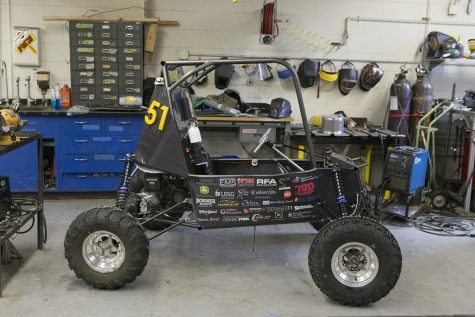 When the need for budget cuts arose close to the end of fiscal 2018, he said, there was little time to step back and engage in further study. 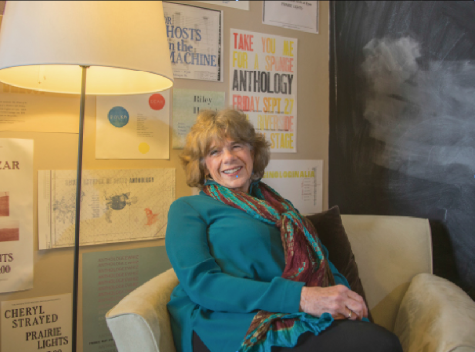 Former UI Vice President for University Relations Ann Rhodes, one of the panelists, said strong leadership relies on shared governance with people involved in the core mission of universities, such as the staff and faculty who teach the scholars. 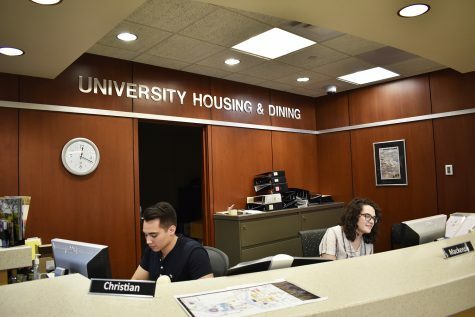 Rhodes emphasized the importance of evidence-based decisions based on the quality of a program and how central it is to the university’s mission, in accordance to the university’s strategic plan. 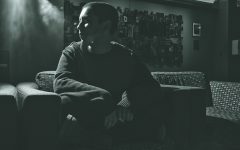 Regarding student involvement in administrative decisions and complaints by the Save Our Labor Center coalition that administrators didn’t meet with the group, Rhodes said that recent efforts by the administration to ignore student concerns seems disrespectful. 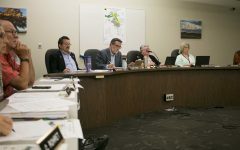 “I think the idea that decisions are being made without appropriate consultation and appropriate consideration of everyone involved is just awful,” Rhodes said. 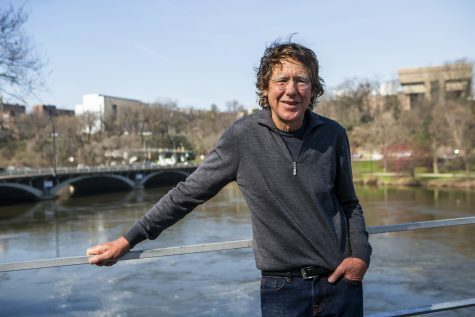 UI AAUP Membership Committee Chair and Professor Loren Glass referenced the organization’s guidelines outlining the role of shared governance in public universities. The AAUP sanctioned the UI in 2016 for violating these guidelines in the 2015 presidential search that resulted in Harreld’s hiring. The sanction was lifted in June after the organization determined the UI had improved shared governance since that time. 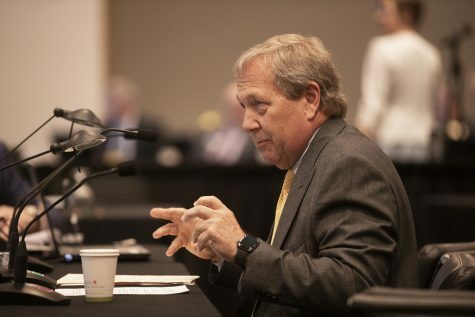 Common concerns expressed by those in attendance at the forum included a perceived tendency towards elitism by the UI administration and Harreld’s past as a businessman, among other matters. 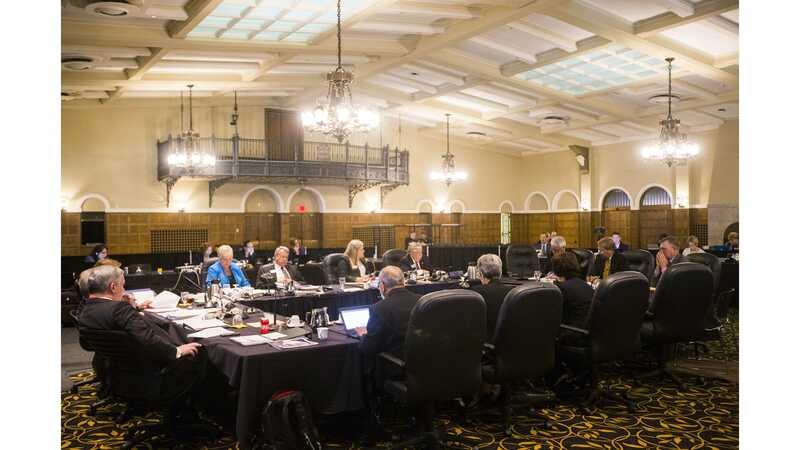 UI AAUP Committee A Chair and Clinical Professor Lois Cox said the perceived lack of shared governance at the UI is indeed visible in more than just the closing of centers across campus. The latter is a primary concern, and will come to vote at this week’s state Board of Regents meeting.